Lowongan Telkomsel Trainee Program – PT Telekomunikasi Selular- Telkomsel was founded in 1995 as an expression of the spirit of innovation to develop Indonesia's leading telecommunication. To achieve this vision, Telkomsel continues to spur the growth of telecommunications networks throughout Indonesia rapidly while empowering the community. Telkomsel be a precursor to a variety of mobile telecommunications technology in Indonesia, including the first to launch international roaming services and 3G services in Indonesia. Telkomsel is the operator who first tested LTE broadband network technology. In Asia, Telkomsel became the pioneer of the use of renewable energy for the towers Base Transceiver Station (BTS). Excellence of products and services makes SingTel as the primary choice of customers throughout Indonesia. Entering the era of ICT (Information and Communication Technology), Telkomsel continue to optimize the development of services in Indonesia to take advantage of potential synergies parent company, PT Telkom (65%) and SingTel Mobile (35%). 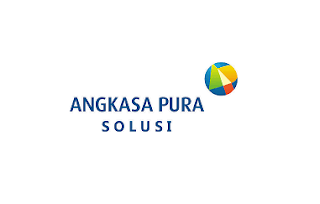 Telkomsel continues to develop mobile telecommunications services to reinforce its position as the mobile lifestyle service provider, a truly mobile lifestyle. Telkomsel has a commitment to deliver superior mobile lifestyle services in accordance with the changing times and customer needs. Telkomsel bring technology to Indonesian people can enjoy a better life in the future to continue to support the preservation of the country. For this reason, Telkomsel actively encourage the use of renewable energy as an energy source for the tower base stations as well as education and training for youth and the poor. Through improving the quality of community and environmental preservation, Telkomsel participate actively for the nation's future better. IPK minimal 3,00 (pada skala 4). Lancar berbahasa Inggris dengan skor TOEFL minimal 500 atau skor TOIEC 650 (dari lembaga sertifikasi). Registrasi Pada Website Telkomsel E-Recruitment. Batas Akhir pendaftaran : 31 Januari 2016. Hanya kandidat yang lolos tahap administrasi yang akan dipanggil untuk tahap selanjutnya.